Being protective of your content is a natural trait of every blogger. After all, your content is your brain child. It started as a mere idea. You put that idea into words. You gave it your personality. And then you released it onto the world. To bring in more readers. But what happens when your content starts to bring in readers to another site rather than yours? As in “another site outranks your original content in Google search“? Why let another site steal your search engine ranking? Let’s begin with making some assumptions. 1. If we syndicate our content on a site that surpasses our own in authority, chances are they’ll outrank us. 2. They’ll get the lion’s share of search engine traffic because of that higher search engine ranking. 3. We could’ve ranked our blog post for that same keyword without syndicating our post to other sites and getting those backlinks. 4. Thus, we shouldn’t put ourselves in a position where we have to compete against our own syndicated content. If some of this doesn’t make sense, I hope we’ll be on the same page by the end of the post. Why do we use other sites to market our business, content, brand to begin with? After all, it’s unrealistic to expect to draw in any significant amount of traffic without any help from third-party websites, like YouTube, Slideshare, EzineArticles, Squidoo, Scribd, or extensive guest blogging, or even working our rears off building presence on social media sites. That’s the whole idea behind maximizing your existing content by repurposing it and allowing it to build natural links and traffic. turn it into a PDF, a video, a Slideshare deck, a mindmap, an image library, etc. get quality links and traffic back to your original piece. And that’s when we run the risk of being outperformed by our own syndicated content – in this particular case, getting a lower search engine ranking. But is it really that risky? It’s been a couple of weeks since I published my original blog post and the Slideshare PDF Ileane was referring to. 2. Higher search engine ranking: the chicken or the egg? Yes, Slideshare has more overall domain authority than Traffic Generation Cafe. As much as it pains me to admit that many sites are more powerful and authoritative than mine, it’s true. Then the question is this: since Slideshare (a more authoritative site) is linking to my original blog post, thus giving me a quality backlink, might that be the reason my blog post has a high search engine ranking for that keyword to begin with? In other words, would I have ranked as highly without that link from Slideshare? I’ve tracked down a few other posts of mine that were syndicated on Slideshare (i.e. either I made a presentation based on the content or converted the original post into a PDF and submitted it to Slideshare). The results are “win some, lose some”. Side note: you might’ve noticed that the Slideshare presentation title appearing in the search results is slightly different from what I mentioned above. If curious why, read this post where I talked about my shenanigans with MGM studios. So, as you can see, it’s hard to know when or why an original blog post might get higher search engine ranking over syndicated content or vice versa. 3. Does higher search engine ranking yield more traffic? So in those cases when my Slideshare deck was ranked above my blog post, do I really miss out on the traffic? 1. My blog posts simply look better in the search engine results. Personally, with the author’s picture, social proof (Google+ circles), etc, I’d definitely click on the blog post vs the Slideshare result. So simply getting a higher search engine ranking for a particular keyword doesn’t automatically mean more search engine traffic. 2. Slideshare brings me a lot of traffic. If someone lands on one of my Slideshare presentations as a result of a Google search, chances are they’ll follow me to Traffic Generation Cafe. Just look at my referral traffic for the past month: Slideshare sits very comfortably right below Facebook. 3. I gain more credibility. Search engine rankings for my own blog are great, no question about it. However, creating a network of excellent content throughout the web is priceless. “Being everywhere” definitely increases your expertise, authority, and ultimately, builds up your brand and your site. Search Engine Ranking: Loss or Gain? In the end, I still feel like a winner when one of my “repurposed” pieces of content ends up ranking highly on Google, even if it outranks my original post. Either way, my brand gets visibility. Either way, I get traffic. I build quality backlinks to my blog, as well as individual posts. Those links help me build long-term domain authority. My increasing domain authority will help me to get better search engine rankings for my original content in the future. Realistically, my original post might not rank at all without the supportive links from syndicated content. However, I do think I could make one important tweak to make my content leverage system work even better. Ileane was right: it might be better to wait a week or two before syndicating your content. That will ensure that Google gets around to doing its job of identifying YOU as the original content source. Even though the Slideshare PDF was uploaded a day or two after my original post was published, Google still thinks that the PDF was a few days older, thus might be THE original content. Well, I know what my marketing takeaway is from this extensive research into search engine rankings: all rankings of YOUR content lead to YOU. And that just can’t be bad. Will these results discourage you from repurposing your content? How Google Works: Why Does a Crappy Website Rank Higher Than Mine? This is my first visit to this awesome blog. I was deeply engrossed in the entire post! You very gently and effectively won over the debate with ease. I totally agree with your thoughts. Whether its direct or indirect traffic, getting listed on the front pages is crucial. Post worth sharing ?  Much appreciated, Sowjanya, and welcome to Traffic Generation Café! Hey Ana i want to ask that to rank high on Google do we have to follow the process like first creating post in our blog that we want high rankings and then convert it in other form like PDF and submitting to Slideshare. Please let me know am i getting what u r trying to convey!! That’s a good question, Himanshu, with no “one way” response. We do want to rank our own blog above all, but most of the times we simply won’t have enough authority to do it. Either way, I’d write your blog post first, THEN re-purpose and syndicate the content elsewhere, pointing back to your blog post. Hi Ana, it’s always so interesting to read your articles, I don’t miss any of them! And the tip of waiting a few days before submitting…awesome! Definitely, you are THE person to go when it comes to traffic strategies. On another point, I saw you’re doing a webinar with Shane Melaugh (another guy I never miss any of his content), and so glad I got to his blog because that way I also got to yours (from a podcast you both did). He also has a great tip for traffic: always update your most important posts (and re-launch them as a recent post) by including updates from your own experience and also updates from any interesting information or question that came in the comments section (or by email). I saw you did this with this post, but maybe you could have also updated this information in your original post about Slideshare. And the question here arises: will be any difference for you (in terms of traffic, credibility, authority) if you update an important post like the Slideshare post (put all this information into that post) or if you write a new one (like you did with the new information in this post)? Thanks a lot and keep up the great work! Have a great day! First of all, thank you, Luis. And yes, I do regularly update my most popular posts or posts that rank highly for a specific keyword with new updated information and republish them (as a matter of fact, I am republishing one today on list building). No, I don’t believe we need to bloat our posts with too much information. For instance, my Slideshare post is already over 3,000 words long; adding another 1,000 words to it doesn’t serve any purpose. I added a link to this post there and that’s a great way to increase engagement and bounce rate by having people click over to another post to read more information. Hi Ana, this is very interesting. What I can see is that creating new content doesn’t but spreading content out to people all around the world. Most people think that create new content will help them but unfortunately, spreading content is more important. Creating new content that’s not read doesn’t help anyone, Ferb; that’s for sure. How intensive can I get with using websites like slideshare, I remember reading your prior post where you gave out dozens of companies where you can upload you PDF. Is this okay to do under google’s eyes? On a different note, how do you put yellow circles around quotation in your postings? I don’t submit the same PDF to all of them, Peter; I rotate them. For presentations, Slideshare is my site of choice. Occasionally, I might upload my presentation after it’s been on Slideshare for a while to another website, but that’s it. And those are not “circles”; that’s my signature coffee cup :), and it’s coded into my theme by my web designer. I think what you’re doing is a great strategy. If I’m correct the only thing you really have to worry about is duplicate content on your own site. The internet is full of duplicate content and the search engines don’t seem to mind as long as it’s good content. I feel like I’m up on a pedestal now since you featured me in two of your blog posts in a row. Either that or I’m floating on a cloud. I just took a look at the stats from my SlideShare account and the view count went through the roof thanks to you being kind enough to embed my presentation. You have become the “go to” resource for doing it right when it comes to SlideShare. Thanks so much for this. So glad to hear my post gave your presentation a push, Ileane! And I wrote yet another post “starring” you; about SEOPressor. Will be published in a couple of weeks; I’ll send you the link. This is pretty great if you ask me! Having 2 spots leading to you on page 1. Now since I’m wired to think list building, I’m curious as to which traffic source converts to subscribers better: search traffic or the referral traffic. My guess is the referral traffic since they already have expressed at least a slight interest in your content before they land on your site. Overall, you are right, Gabe – referral traffic does tend to convert better than SE traffic, but it, of course, varies greatly by source. Slideshare definitely has the potential to increase rankings; whatever the keyword. Intriguing debate but I would have to believe that even if your re-purposed content ranks higher you still win! The key is that it stills links back to you therefore you get the traffic! what you have suggested above however still makes a person wonder if they’re ‘creating’ their own roadblocks! I am with you, TJ. When I check some of the results for the keyphrase in your screenshots they are slightly different rankings. The convert blog posts into pdf shows slideshare at number one and your post at number 5 for me at the moment. Maybe the you +1’d this has something to do with it or you were logged into Google. I get tired of all the different results Google returns for different users and computers. It’s difficult to know for sure where you rank sometimes. I thought about this before with Youtube. If I upload a video will it rank better than my own post. I just tell myself oh well if it does, and hopefully it will send some traffic my way. What you see when doing searches greatly depends on your location, Ray – different Google databases serve slightly different results, whether you are logged into G or not. Great post and a lesson for bloggers everywhere. The real takeaway is to not put all of your eggs in “someone else’s” basket. It’s really simple when you just look at the numbers. Let’s say that you publish a post on another platform and the click-through rate is 25%. If 100 people find the post online, only 25 people will actually end up on your site. That same post on your site would have sent ALL the visitors to where you want them – your website. Now this is a very crude example, but the point is all the same: build your site first, leverage everything else. Just “liked” you on Facebook! Of course, our primary goal is to rank our sites directly whenever possible, Rob. Third-party platforms are there to fill in the gaps. I think Slideshare is ranking because people actually like to look at these slideshows it’s hot right now like infographics when they first came out. Especially hilarious slide shows like the kaepernick. I’m sure this content would out rank for certain keywords but then the traffic and subscribers would help your site rank for other terms. So, in the end it’s MORE beneficial than it is a negative. Plus people please stop over analyzing EVERYTHING you need traffic don’t you? So true, Darnell – people are so afraid to somehow “offend” Google in lieu of possible traffic that might not ever happen to begin with! And here’s a perfectly valid traffic generation strategy that’s a low hanging fruit. This report definitely won’t put me off. If anything, it encourages me even further. The only thing I’m worried about is that the MIGHTY Google could be so wrong into ‘thinking’ that just because a site has a higher authority, that the material was generated there first. I think waiting for a week is definitely a way to go about this. Everything else being equal, the links you put into your slideshare (live or not) will lead readers back to your blog. You are very welcome, Anne; thanks for coming by. It’s interesting the Google SERP timestamps your earlier blog content “later” than your later syndicated content. I’m assuming the WordPress theme you’re using updates your blog’s sitemap.xml file with the appropriate posting date. If so, you might want to check your Webmaster Tools account to be sure the googlebot is finding and reading that sitemap file in a timely way. Good call on the sitemap, Mark – for some reason, Google Webmasters didn’t have it in. The sitemap.xml file should typically be in the “root directory” of your web space, although you may be able to get Webmasters Tools to read it manually through a deeper directory (if that subdirectory is registered with Webmasters Tools, but I wouldn’t do it that way). I would let the googlebot fall back on its default behavior (whenever possible), and configure the WordPress theme to use those defaults. Be sure your WordPress theme is updating sitemap.xml with each new article posted. You might search your web server logs for 404 errors thrown by the googlebot looking for sitemap.xml. If you don’t find any, then use Webmasters Tools to read it “manually” once from the root directory. The googlebot may find it okay after that. You might also want to check the time stamp on the web page headers for each article posted. I wonder if the WordPress theme is updating the time stamp with each edit (which may be the desired behavior so browsers refresh their caches, but which may also confuse the googlebot). I’ve never had this problem before – Webmaster Tools have always shown my sitemap being read correctly. Not sure why it wasn’t there all of a sudden, but I am surely glad you made me double-check. Loved the article! Even in my niche (whole grain baking/bread) I think this strategy can be used. I have only been reading your blog for about a month, but what I like about it is the tips can be used for more than use people in the internet marketing niche. I was even thinking about putting some recipes on slideshare. Currently my recipes are all videos on youtube, but this could be interesting especially if not many people are doing it yet! I would agree with you Anna, anything that leads the reader to me and my work is a wonderful thing. Getting more traffic, whether it is to a blog or an offline business leads to more customers, which leads to being able to keep the beans on the table and the lights on. That is humorous, as I had not thought of it that way. Thank you for the laugh. Red neck way of saying that Company is making enough profit to stay in business. I think this a technique called the sandwich effect, in which you can get more traffic to your site by having 2 different posts ranking from the same keyword. As long as you-re getting traffic and quality natural backlinks from slideshare, I’d call it a win. The other method is when you actually manage to do this with your original post AND a category or tag from your own site. I’ve seen that Slideshare shows an small author bio at the end but I guess it doesn’t allow you to put links there (only text). I don’t like promoting my categories or tag pages because of dupe content, Servando, but in theory, I do see the point. I suppose your own ranking and a ranking from syndicated content is the next best thing.